Worksoft Certify Suite is easy to use and provides the industry's highest levels of automation - often exceeding 80% coverage of a company's critical business processes. Leading global brands and more than 200 SAP(r) companies worldwide have embraced Worksoft's automated business process validation software to ensure quality execution and minimize technology risk. StormRunner Load reduces the overall time for performance testing engagement and is best suited for the products in the agile process. Easy to automate and execute the tests, StormRunner Load provides a feature to compare the current test results with the previous results to see if the current build is better than the previous or not. With the ability to integrate with monitoring tools like SiteScope and APM tools like New Relic, performance bottlenecks in the applications can be identified very quickly and easily. All sorts of software applications are developed for a variety of mobile platforms: iPhone, BlackBerry, Palm, Windows smart phones, PDAs. Yet mobile devices pose a number of challenges that must be addressed before the user has a chance to get frustrated. RealMobile is not emulator it Execute the scripts on the device itself while controlling them from the PC, thereby supporting multiple platforms: iPhone/iPad, Android, BlackBerry, Windows CE. 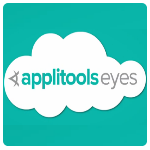 It automates the tests on a PC using common test automation tools, e.g., QuickTest Professional. 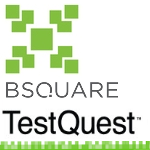 TestQuest 10 is a complete test automation solution for creation and execution of tests for mobile devices that scales across multiple test environments, fully integrating with leading development tools.The TestQuest tools are integrated with Visual Studio, enabling the use of features of both products for developing, debugging, deploying, running, and monitoring tests. By integrating with familiar tools such as Microsoft® Visual Studio™, TestQuest 10 enables users to quickly create extensible, flexible tests that are scalable and can be executed in a distributed, collaborative test environment. This solution is designed for ISVs and OEMs who want to bring applications and smart, connected devices to market. Launching a website or a new web application is nerve-wracking business, but the right website load test and web app testing tools can eliminate surprises and let you launch with confidence. 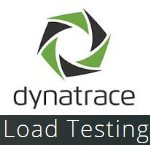 Load test technology lets you simulate real-world conditions and real user behavior on your website or web applications long before users have a chance to access them. ZAPTEST is software test automation solution for testing applications cross-platform. ZAPTEST allows testing any GUI based software on any modern OS mobile or conventional that includes iOS; Android; WinMo; Blackberry; Windows; Mac; and Linux. ZAP 1Script technology allows users to script test procedure once and execute it on any correspondent application on any platform and environment. ZAP MultiRun technology offers execution of the same test script on multiple workstations and mobile devices at once, and expedites time to test execution. zapFARM offers mobile and conventional device management, by using distributed and multi-site devices and management of devices and users. Appsee's mobile analytics platform provides in-depth analysis of your users' behavior, allowing you to deliver the ultimate app experience. Perfecto Mobile helps you your strengthen every digital interaction with a quality-first approach to creating web and native apps. The Perfecto Mobile system is a hardware and software solution. Mobile handsets are mounted on cradles and they connect to the Perfecto Mobile system through their data ports. Users access the handsets via a web-based UI. When a user clicks on a handset's key in the GUI, the Perfecto Mobile system sends a command to the real handset and the same key on the actual device is pressed. The system also captures and records the handset's audio. Performance issues strike when your organization is busiest: when your website has hit peak traffic volumes, a new mobile app is launched, or there is an unexpected spike in activity. The competition is just a click away, and to keep users engaged, applications must perform consistently no matter the device, browser, connection speed, or location. Micro Focus Silk Performer (formerly Borland Silk Performer) is designed to deliver a consistent user experience anytime, anywhere, and on any device. Fast delivery and high quality shouldn’t cause a conflict in software testing. Maintain rigorous quality standards and accelerate application testing on any device and platform with Silk Test (formerly Borland Silk Test). Standardize validation efforts by testing web, mobile, rich-client, and enterprise applications using a single, powerful test automation solution. 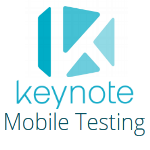 The M-eux Test software allows you to automate, monitor and maintain your mobile test cases. 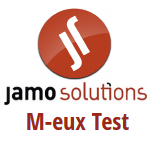 Jamo Solutions’ product, M-eux (Mobile End User Experience) Test is a mobile automation product that allows companies to automate their test cases for native, web and hybrid applications on all major mobile platforms. Besides the ability to perform test automation in functionality testing, M-eux Test is also capable in performance testing and monitoring of mobile applications. 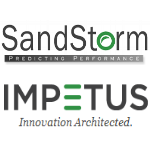 Through integration with leading test management platforms, including HP ALM, Microsoft Visual Studio and IBM Rational, enterprises can re-use existing investments in testing tools and processes. 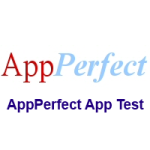 It is the leading product for test automation of mobile apps running on Windows Phone, iOS, Android, BlackBerry and other mobile OS. Robotium is a test framework created to make it easy to write powerful and robust automatic black-box test cases for Android applications. With the support of Robotium, test case developers can write function, system and acceptance test scenarios, spanning multiple Android activities. Robotium has full support for Activities, Dialogs, Toasts, Menus and Context Menus.